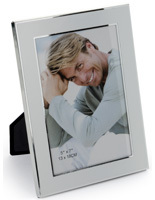 This silver picture frame has a modern flair with slide-in technology that makes changing images easy. 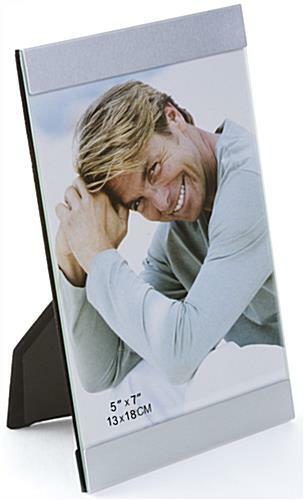 Priced low, this quality unit is affordable -- store owners can purchase in bulk for a huge savings! 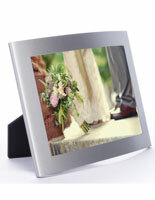 This picture frame is constructed of aluminum for a durable presentation that stands up to the test of time! 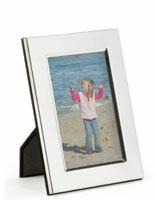 Sized for a 5" x 7" photo, this framing fits the standard photographs. 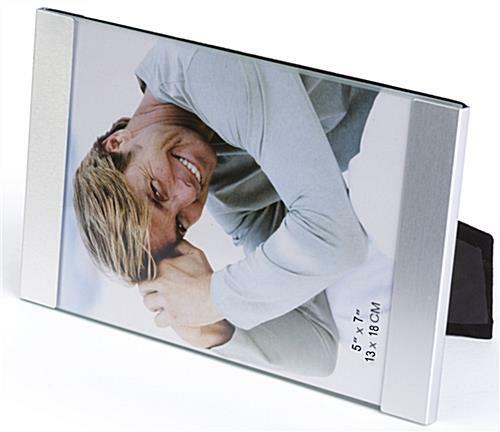 This accessory is easy to put an image into, by sandwiching a new print in between backer and glass lens, then sliding the aluminum borders back to keep everything secure. 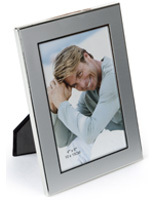 Place this frame on a counter in portrait or landscape for viewing both ways! 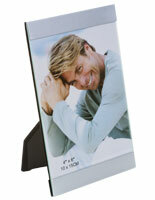 5.1" x 78.0" x 0.25"
Awesome quality for an unbelievable bargain! Very excited about our purchase! Thanks for the feedback, Susan! Its very nice looking. 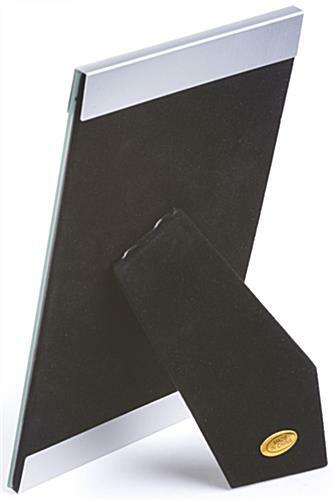 Perfect for my application except for the size. 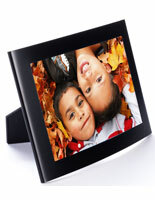 Wanted 4 x 6 but its out of stock, bought 5 x 7 to take a look at them. 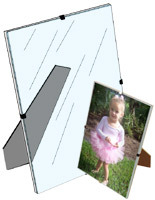 Will wait until 4 x 6 size is in stock before my next order.